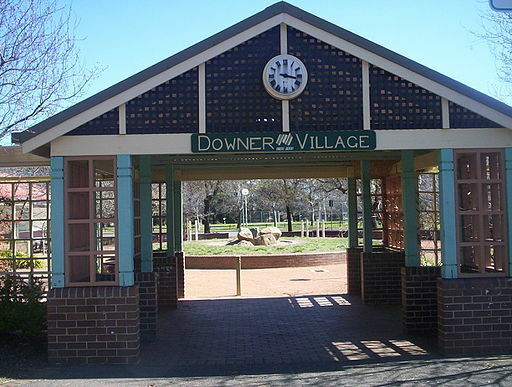 Many years ago the suburb of Downer had a thriving shopping centre and a bustling school next door. All this became a distant memory when the school closed and with the rise of the nearby Dickson shops, the local shops went into slow decline. Eventually the school building was demolished. The situation could be about to change, though. Over recent years there has been a series of discussions between the ACT Government and residents about redeveloping the former school site. At times these discussions were open and transparent, while there were also occasions when a few cross words were uttered. The locals value the open spaces around the centre and were very wary that the developers, in partnership with the Government, would be looking to consume some of the open spaces for building developments. Surely our Government would never allow such a thing! It seems the community may have won the argument for some sensible development on this valuable site — and most of the open spaces will remain as parklands. CHC Affordable Housing has launched a project for a major development on the former school site. Most of the signs are positive. This could be indeed a sensible development. As it happens, the local shops are also being brought back to life as a separate commercial initiative. So Downer may be about to take a giant step back to having an active commercial and community centre. Fingers are crossed that the ACT Government keeps to its promises and does not allow detrimental compromises to creep in during the build. But wait there’s more! There is a new website, www.CHCatDowner.com.au, to keep the communications open. Things are looking up for Downer — it must spring! Does anyone know how I might get in contact with the developer? I’d love to lease a space at the shops! Link them to the City with a tram loop coming back down through Lyneham/O’Connor/Turner/Acton and you can have a strong vibrant City Heart. Unfortunately Canberra has to eat its countryside to feed the Beast that is Government Land Speculation. So we have the ridiculous situation where the Inner City has huge low density residential blocks and the far outer townships have tiny residential blocks and the medium density that should have filled the Centre.